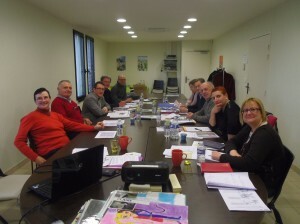 On Saturday, the 14th February, the “Stevenson” partners of the Rivers in the North met in Northern France, with the presence of Michel Legros, the European Network’s president. 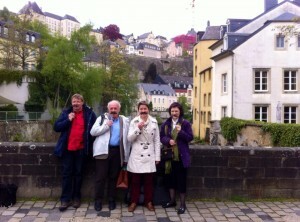 The European Stevenson Network a partner of European Cultural Routes in France! Michel Legros, president of the Network, will be present for the Annual General Meeting of the Federation on 24 February at the House of Europe in Paris! Click here to know more about the Federation! 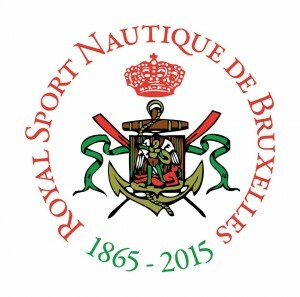 The Royal Sport Nautique of Brussels celebrates its 150th Birthday this year! Save the date! On Sunday 25 May 2015, the Royal Sport Nautic of Brussels 1865 organises a rowing event from Antwerp to Brussels, in the Footsteps of Robert Louis Stevenson! It will be the occasion of the next meeting of the European Network! You can download here the whole program of the 2015 events! The European Stevenson Network wishes you a new year beautiful! Let’s discover the projects of the Network! What happened in the Network since November 2013? What will happen in the next months? Stevenson en fête”S” ça marche ! The association “Sur le chemin de R.L. 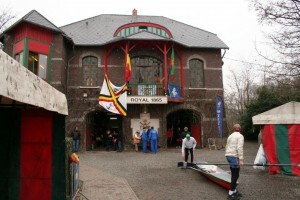 Stevenson”, in the Cévennes, celebrated its 20th birthday at Florac from the 7 to 11 November 2014. 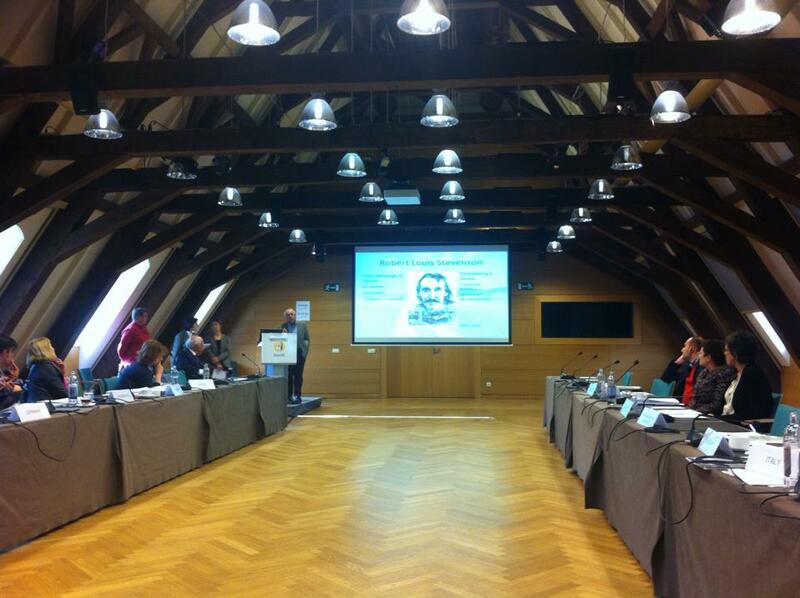 This was the occasion to organise the 5th Annual Meeting of the European Network In the Footsteps of R.L. Stevenson with all the European partners who came from Scotland, England, the Northern Canals and the Fontainebleau Forest.